BMW Motorrad, the German motorcycle manufacturer, recently unveiled BMW Motorrad Concept 9cento. The Concept 9cento is a concept sports tourer. The motorcycle showcases the company's future development plans in the sports tourer segment. Worldwide, lots of people prefer a sports tourer instead of a traditional tourer. The reason behind this preference is the power, dynamic handling, and low curb-weight. Traditionally, a proper tourer is a bulky and heavy motorcycle. So, it's very difficult to maneuver in corners and in traffic. Hence, on the same notion, the company is now focusing on sports tourer segment. 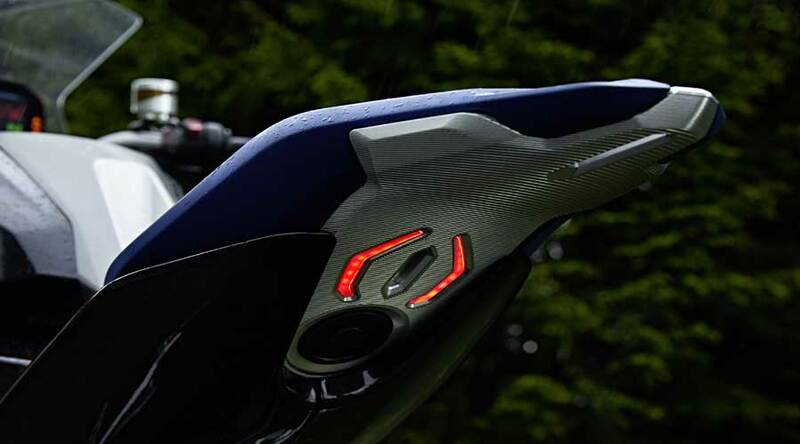 The BMW Motorrad Concept 9cento focuses more on the adventure sport. Concept 9cento combines performance, emotion, agility, riding fun and adventurous spirit. The combination of all these abilities makes the Concept 9cento a perfect sports tourer. So, you can consider that this bike defines a new class. Thus, it’s a mix of sport, touring and adventure motorcycle segments. The Concept 9cento highlights the agility and lightness at first sight. The new modern sporty configuration with lots of space at the front wheel and high at the rear delivers riding fun with agile handling. The fuel tank, frame and fairing emphasize the direction of travel. The side panel in pure metal gives the sense of adventure sports segment. The long suspension travel ensures long distance riding comfort. Hence, it is very ideal for long-distance touring. 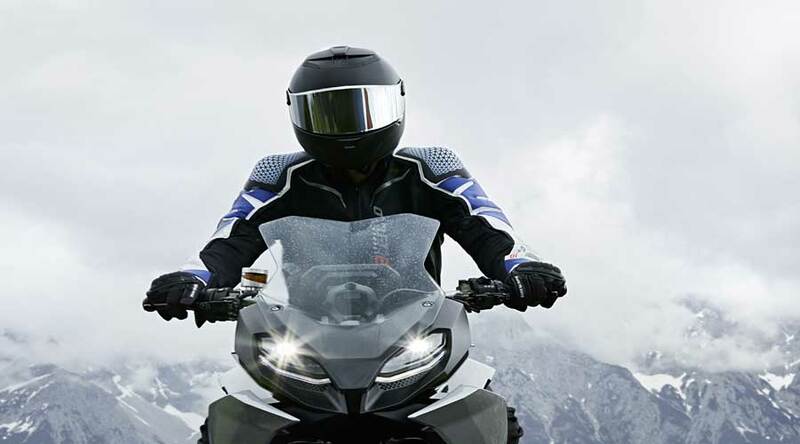 In addition, the windshield and fairing at the front protect the rider from winds. The low upright seating position is perfectly ideal for the long-distances. The triangular frame in the Concept 9cento is reinforced with CFRP fleece. This not only reduces the weight but also seamlessly connects the three-dimensional design of the front trim with the aluminum rear carrier. Hence, 9cento is more dynamic and fun to ride. The modern headlights feature symmetrical headlamps with LED daytime running lights for each headlamp. The two LED lenses on each side provide low and high beam. The rear lights are distinctive with typical BMW Motorrad design. The two LED elements are in the C shape; facing each other beneath the seat. They fit perfectly in the narrow silhouette of the rear; defining the Concept 9cento at its best. The case system: An innovative luggage system. Additionally, the innovative storage space with clip-on case element enhances the space. The double case provides enough space for luggage and passenger at the same time. The case is hooked in the rear and attached to the lower portion of the rear carrier with powerful electromagnets. Hence, it is attached to the motorcycle securely all the time. Besides, the iconic case system gives functionality to the motorcycle. The motorcycle without the case is agile. It perfectly meets rider’s demands, giving more fun to the rider while with the case the bike transforms into an ultimate touring machine. The case system gives the bike an ability to carry two people. Hence, this homogeneous transformation makes this motorcycle unique in its character. 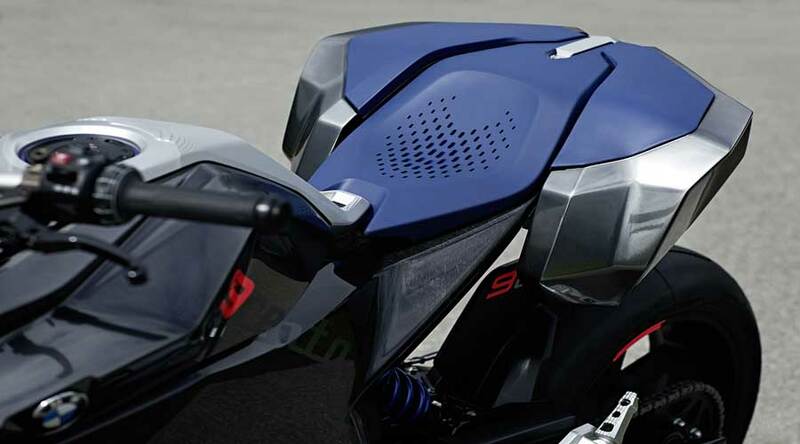 The BMW Motorrad Concept 9cento also comes with two riding jackets. Each riding jacket represents a different motorcycle character. The first jacket with striking black, blue and white color represents a sporty character. The second jacket with very soft leather and a light-grey color gives more urban attire. Hence, this jacket focuses on the urban riding. In conclusion, the BMW Motorrad Concept 9cento is a futuristic sport touring motorcycle having three different characters fused into one.